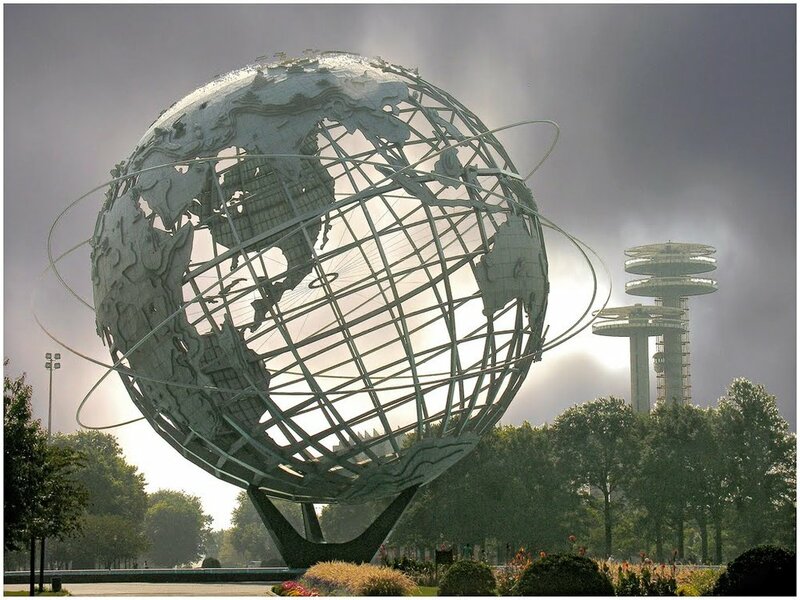 The “Smart City” phenomenon is gaining momentum, from neighborhoods to entire regions around the world. Realizing the profound need to make their communities safer, more efficient, and more environmentally sustainable, public and private entities are now working hand in hand to navigate a wealth of innovative solutions. The challenge is often more about creating alignment around a common plan than a lack of technology solutions, and turning ideation into productive momentum. We are building an open-source playbook -- crowd-sourced from institutions around the world to speed the understanding and knowledge transfer from technologists, academics, municipalities, students, and citizens. 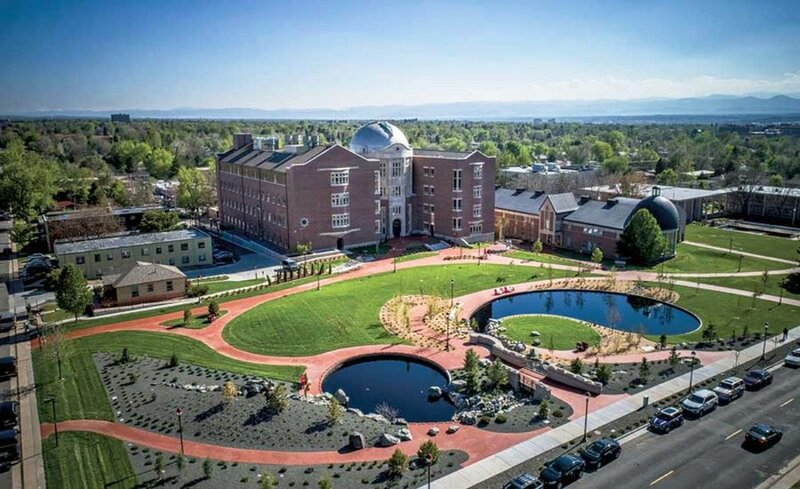 Campus communities, whether colleges and universities, or civic and corporate campuses, represent microcosms within our cities with many of the same challenges and opportunities for smart city applications. These include issues such as transportation, food, water, housing, safety, information access versus privacy, communication, energy, and waste management. Yet campus communities – with fewer stakeholders and landowners, with a more contained and manageable infrastructure, and often less regulatory complexity – represent a unique difference and opportunity. These institutions can be more fluid and decisive, can drive faster prototyping and application development that can lead to more rapid testing, validation, and deployment. Add to the mix an abundance of natural curiosity, and a predisposition toward invention and ideation, and campuses make an ideal platform from which to generate a whole range of new thinking that might just change our world. 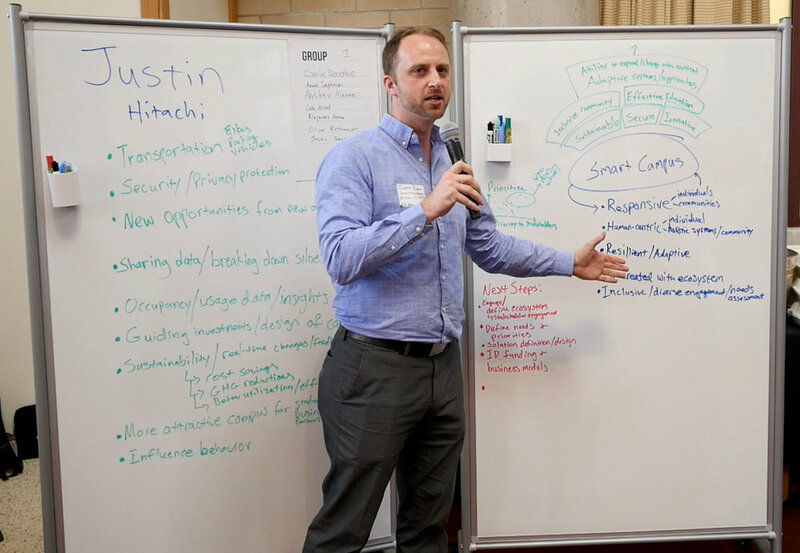 This spring we held our inaugural Smart Campus Summit at the University of Denver, in partnership with the Ritchie School of Engineering, Hitachi Vantara, Arrow Electronics and Splunk. 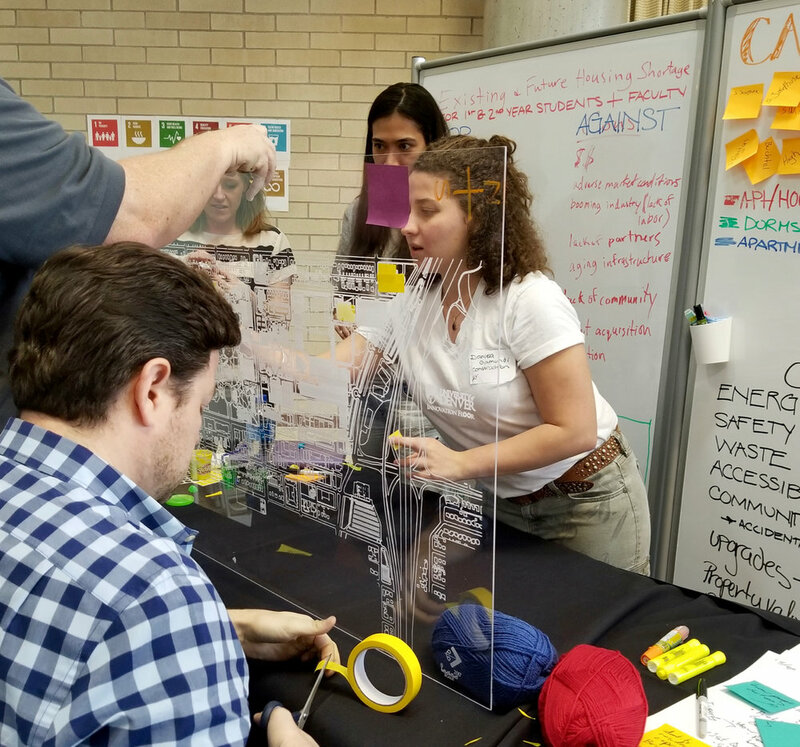 This rigorous two-2 day process uncovered dozens of hidden issues and opportunities, applications, and products that could be implemented through a Living Lab on the University of Denver Campus. Participants who engage in the Smart Campus learn innovative and proven methods for rapid identification of new opportunities, prototype development, conceptual troubleshooting, and real-time project documentation. In light of the success of this Summit we are now selecting campuses for a 10 part series, designed to expand the open-sourced shared knowledge and multiply potential outcomes. This insightful and actionable series will culminate in the distribution of a Smart Campus Open-Source Playbook of short- and long-term recommendations with specific actions that institutions can act upon to drive a responsible, resilient, productive, and smart community. These initiatives will have equally strong application in Civic and Corporate settings. The Smart Campus is a “Living Laboratory” from which to generate workable and scalable solutions that can have much broader impact. Smart Campus solutions can be vetted and more easily integrated into existing infrastructures in both civic and corporate settings, enabling the application of “best practices” over a broader population, along with making genuine progress toward addressing Universal goals, such as (e.g., Climate Change Mitigation, Environmental Sustainability, Social Inequality, et al). You can help us shape the series, bring thought leadership, and showcase your technologies and solutions. We work with partners to expand our thinking and develop the best possible content that institutions can use in their planing and roll out of Smart Campus implementations. Pelase signup below if you are interested in hosting or sponsoring the Smart Campus Innovation Series. We would like you to invite you to join us as a foundational industry partner for this groundbreaking series, and share in this important and exciting process. Your support of this Smart Campus Series will help guide the future of smart, safe, and sustainable communities. Thank you for your interest in the Smart Campus Series. Look deep into nature, and then you will understand everything better.